The issues in admissions across the country’s higher education system existed long before the recent university admissions scandal. For decades, colleges have relied on skewed criteria to determine their top recruits — namely, standardized test scores and grade point average. In just two simple numbers, colleges have been sorting the country’s students and in doing so, determining their future possibilities. At the same time, these universities have been charging their students an ever-increasing tuition that is forcing college graduates into record debt before they even start their careers. And I don’t think anyone was blind to the fact that the more money an applicant — or an applicant’s family — has, the easier it is to receive an acceptance letter. 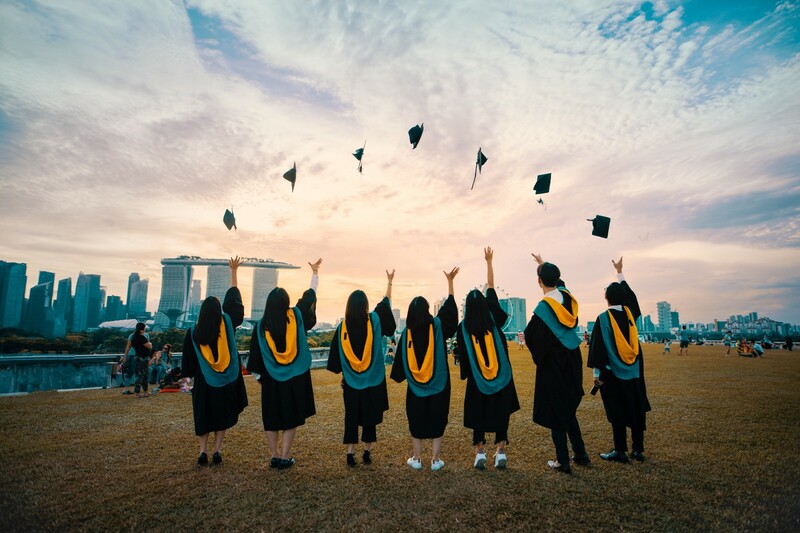 While it is certainly true that a college degree offers a graduate more future career possibilities and higher potential earnings, I think that as a society Americans are placing far too much value in these institutions and their degrees. So while it’s easy to criticize those involved in the latest scandal, I believe that if we want to alleviate problems of corrupt and unfair admissions practices while also putting a stop to the runaway cost of receiving a degree and the ensuing scandals that come with extra special “donations”, then we must first change American society’s outlook on higher education. It’s time for America to push back against admissions practices and show higher education that they don’t dictate a student’s potential. As a high school teacher, I witness every year the side effects of the pressure and competition among students pushing themselves toward college success. The most academically-focused students become blinded to padding their resumé for future college applications. In order to do this, it becomes a test of willpower to survive the stresses of taking every weighted, college-credit course and being involved in every honor club, academic society, extra-curricular organization or sport that the school offers. These students work tirelessly to play their part in the game of college admissions that society demands for the “smartest” students. But it’s not just the students playing their part. Parents, teachers, counselors, community members, and employers are also to blame. They reinforce the idea that “college bound” is necessary in order to become successful in society. This mentality dilutes the value of a high school education, because it teaches children that the path to achieving a happy, productive life is narrow and one-directional. Students think they have to take certain classes and earn certain grades in order to “make it in life”, regardless of their actual strengths and passions. Schools work so hard to make sure students are “college ready”, but what about being life-ready instead? But this college success mentality has existed for decades. In fact, I remember when I was in high school feeling exactly as my students do now. The competition spawned by the reputations that various institutions and career pathways flaunt when they report their admissions numbers has turned high school into a dog-eat-dog world, as students get caught up in the fervor of proving to themselves, to their parents and to the “top” universities that they are worthy of admission. They think that by doing their best they can secure their place at an elite school and then a prestigious employer, thereby earning a top salary and ultimate happiness. And because the parents are a product of the same system, I would argue that they are even more competitive than the students. I have had students who nearly broke down in tears because they had a “B” in my class and their parents demanded an “A”. These students were great and talented in so many ways, but maybe just average or not as interested in my subject. There is absolutely nothing wrong with a “B”, but they had to ask for extra credit in order to appease their parents’ impossible expectations. This mentality from the parents only results in overly-inflated grade point averages and excess stress on students. The real tragedy of the bribery scandal is not that colleges received excess money, it’s that these parents didn’t believe in their own child’s merits. I think this about parents who I know are doing homework for their students or, even worse, who communicate with me excessively to ensure their child’s grade never falls below a certain threshold. The same dog-eat-dog mentality among high school students permeates through the parental circles as well. It seems they are just as blinded by the singular path to success that society has awarded higher education. Therefore, before we will ever be able to fix such corruption, society as a whole needs to re-evaluate its definition of success. America has come a long way ever since the university system first began. Back then, so few people actually qualified to attend college that the process wasn’t as selective as it is today. The system was inherently designed to benefit the wealthy and privileged in this country, that’s no surprise. But no matter how we reform the admissions process, the system will only ever benefit this same elite few, because they will have the resources to ensure their children can compete no matter what criteria schools use for admissions. For example, I used to be a private tutor outside of my regular classroom teaching and I saw a whole different world of wealthy parents paying whatever it took to help raise their child’s grades or test scores. The wealthy can also afford to pay for private music or sports lessons and other summer enrichment programs that might set them apart when applying to college. It shocked me at first to see how much money parents spent, again intervening on their child’s behalf to ensure their child would ultimately remain among the top echelons of society. But what if, instead of focusing on reforming the current system, we re-image success altogether? In the modern era of technology and open access to information for all, the singular-pathway-toward-eventual-career-success model is antiquated. It used to be that school was the only way for students to gain an education. It used to be that these elite universities had an advantage over smaller, local institutions. It used to be that the only way to a decent living was through multiple higher education diplomas. Yet now, as a teacher, I have students who teach themselves skills by watching Youtube videos online. I have students who work a variety of jobs and gain much more useful skills for their future careers than if they sat through additional tutoring to raise their standardized test score. Some students are already learning the power of marketing through social media while others are studying their passions and connecting with experts from all around the world. Thanks to the internet, students have access to a wealth of opportunities that previous generations did not. It’s important to remember this whenever elite colleges continue to accept fewer and fewer students while raising their prices higher and higher. I try really hard as a teacher to remind students that it’s simply not worth it to take on a massive debt load and overwork oneself to achieve the “success” that society dictates. Instead, I like to remind my students that some of the richest and most successful people in the world never went to college. I remind them that they have talents and skills that can make them successful, if they work hard and find people who can help them grow and develop their strengths and passions. I remind them that people mocked me for being an intelligent person who wanted to become a teacher, instead of a more “prestigious” profession like a doctor or lawyer, but that I love what I do while many of my friends in the “top” professions hate their jobs. I remind them that their worth and happiness in life is whatever they decide, not dictated by some standardized test score or college acceptance letter. Ultimately, I think it’s time to reform what we as a society deem “success.” I would argue that many of my students are already well on their way to success and happiness in life. Now it’s time to offer alternate pathways to compete with the monopolistic and overly-competitive higher education system. I believe that instead of placing so much value on one pathway, especially on the so-called “elite” institutions and their bribery scandals, it’s time for society to value other opportunities and pathways toward success. Stories of a high school teacher, husband, and travel fanatic. Read, reflect, write, repeat.